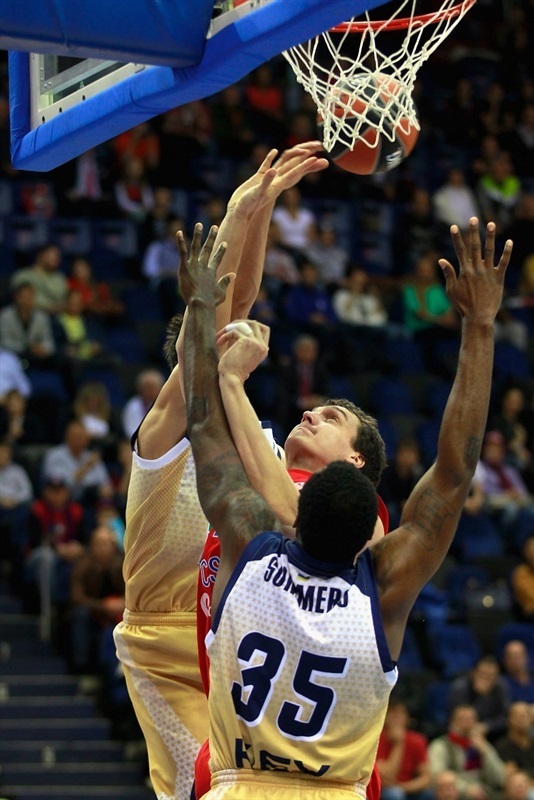 CSKA Moscow remained undefeated in difficult Group A by downing Budivelnik Kiev 72-67 in the Russian capital on Friday. CSKA improved to 2-0 and shares first place, while Budivelnik dropped to 0-2. 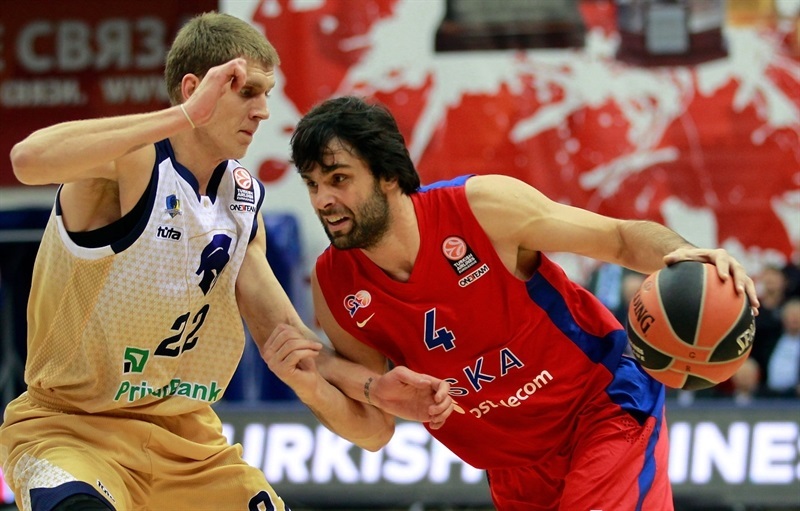 Milos Teodosic paced the winners with 14 points, 5 rebounds and 6 assists. 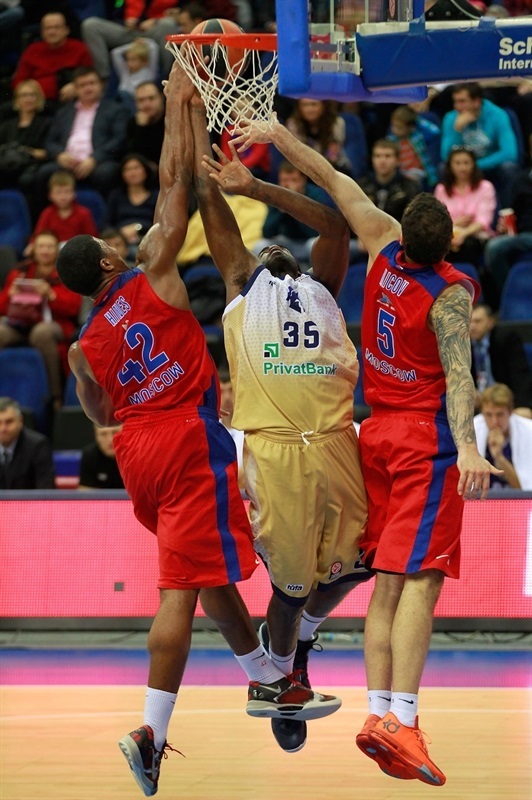 Victor Khryapa added 10 points while Kyle Hines had 8 points, 7 rebounds and 3 blocks for CSKA. Micah Downs led Budivelnik with 23 points. Darjus Lavrinovic added 11 for the visitors, who led 11-18 late in the first quarter. Hines changed the game with outstanding defense and a three-pointer by Vitaly Fridzon gave CSKA a 22-18 lead, after an 11-0 run. 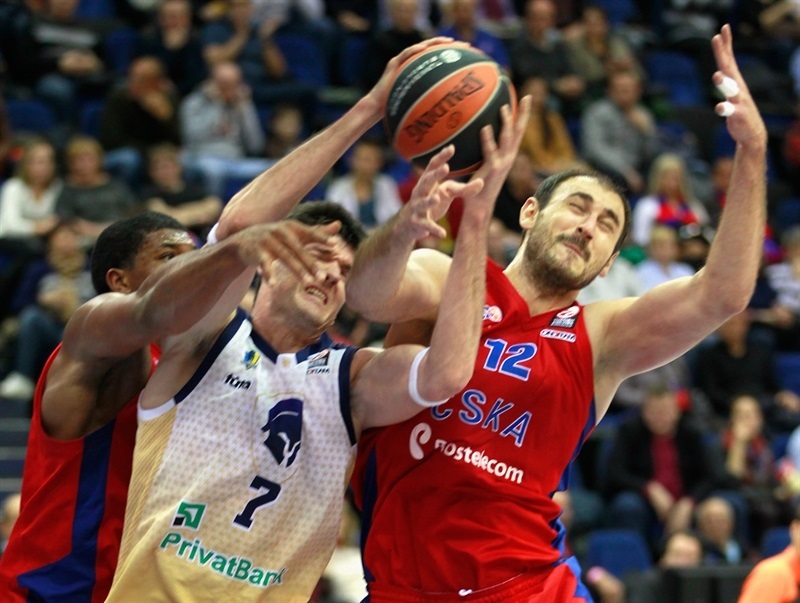 Hines and Nenad Krstic fueled CSKA to a 32-27 edge at halftime. Budivelnik was not done, however, as Lavrinovic and Downs put the guests ahead 35-39. Three-pointers by Vlado Micov and Teodosic allowed CSKA to regain the lead, 49-44, after 30 minutes. Downs buried 4 three-pointers in the final five minutes, but Sasha Kaun and an outstanding Khryapa - who had all of his points in crunch time - allowed CSKA to seal the outcome minutes before the final buzzer. Teodosic got CSKA going with a three-pointer. Downs quickly answered with a driving layup and free throws by Kaun gave the hosts a 5-2 lead. Lavrinovic scored down low, but Teodosic made the most of a defensive mismatch and hit an open, six-meter shot. Janis Strelnieks struck from downtown and another layup by Lavrinovic gave Budivelnik its first lead, 7-9. DaJuan Summers hit free throws, which Jeremy Pargo erased with a floating layup. 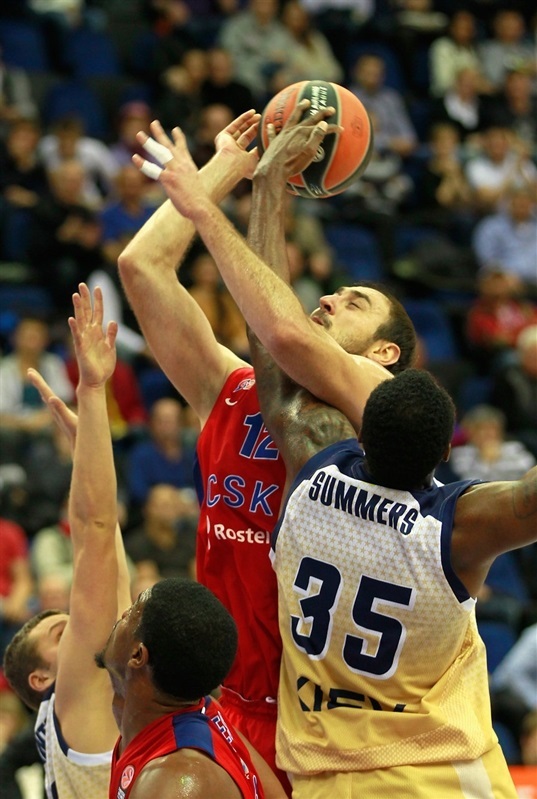 CSKA kept missing open shots, however, as Budivelnik locked down the defensive boards. Summers nailed a mid-range jumper and Artur Drozdov bettered Pargo's driving basket with a bomb from downtown, good for an 11-16 Budivelnik lead. Ricky Minard stepped on court off a timeout and immediately delivered with an off-balance basket. Teodosic hit a one-handed jumper in the lane and Pargo solved a broken play with an easy basket.. A buzzer-beating layup by Pargo brought the hosts within 17-18 after 10 minutes. 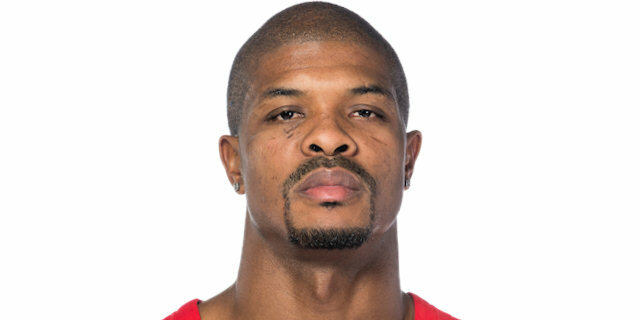 Hines banked in a close shot early in the second quarter, which put CSKA back ahead, 19-18. Budivelnik kept struggling to score and a three-pointer by Fridzon capped an 11-0 CSKA run. Budivelnik was held scoreless for more than five minutes until Strelnieks found space for a backdoor layup. Downs split free throws to make it 22-21. Aaron Jackson took over with an electric driving layup, as the guests could not get Lavrinovic and Summers involved. Krstic stepped up with a jump hook and a three-pointer by Micov boosted CSKA's lead to 29-21, after a 7-0 run. Summers beat the shot clock with an off-balance turnaround jumper, Krstic split foul shots and a close basket by Drozdov gave Budivelnik hope at 30-25. Hines shined with a big basket and a block on Summers, who quickly answered with a wild two-handed slam that kept Budivelnik within 32-27 as both teams headed back to the locker rooms. Lavrinovic scored around the basket immediately after the break and soon buried a three-pointer from the left corner, which tied the game again, 32-32. CSKA kept struggling to score and a put-back slam by Downs completed the guests' comeback, 32-34, after a 0-7 run. Kaun stepped up with an alleyoop slam but he didn't find much help around, as Budivelnik kept controlling the game with physical defense and a really patient offense. Lavrinovic hit a jump hook, Krstic split foul shots and Summers soon gave Budivelnik a 35-37 lead. Downs took over with a coast-to-coast basket that Krstic matched with a five-meter jumper. 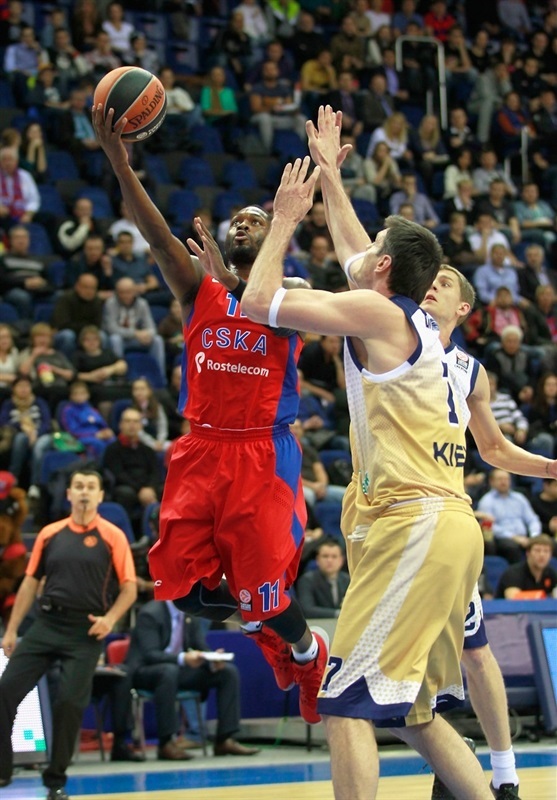 CSKA regrouped on defense with Hines and Micov back on court. Hines scored around the basket and a layup by Jackson put the hosts back ahead, 41-39. Micov buried his trademark corner three-pointer before Budivelnik called timeout at 44-39. 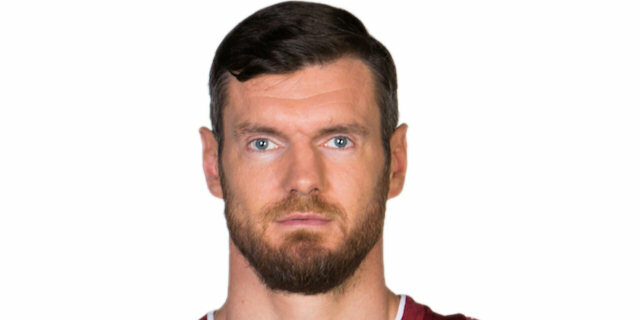 Sergiy Gorbenko answered from downtown. Teodosic buried a wild catch-and-shoot triple and free throws by Minard kept Budivelnik within 47-44. A dunk by Hines gave CSKA a 49-44 lead after 30 minutes. Both teams struggled to score early in the fourth quarter until Teodosic stepped up with a fast break layup. Downs and Micov traded mid-range jumpers and Jackson dunked off a steal to boost CSKA's lead to 55-46. Strelnieks tried to change things with a layup off a Budivelnik timeout, but a long two-pointer by Teodosic restored a 57-48 CSKA edge with over six minutes left. Downs kept pacing the guests with a layup, but Khryapa did better with back-to-back three-pointers that seemed to break the game open, 63-50. Downs, however, also nailed back-to-back triples keep Budivelnik within 7. A big block by Kaun allowed Khryapa to hit a baseline jumper in transition. An unstoppable Downs improved with yet another three-pointer. 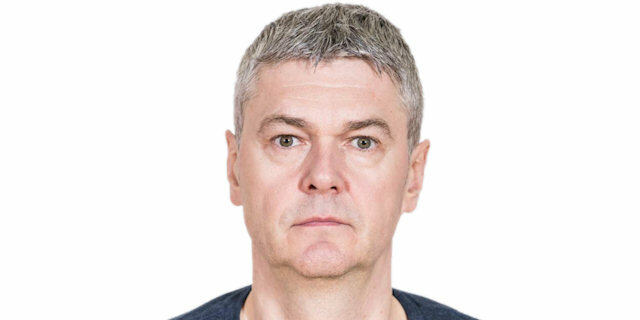 A layup-plus-foul by Kaun sealed the outcome, 68-59, in the next-to-last minute, as even though Budivelnik kept trying, CSKA cruised to its first home win in this 2013-14 Turkish Airlines Euroleague season. "The game tonight was influenced by two horrible starts. In the first quarter we were down by 8 and in the beginning of the second half we burned our 5-point lead, went down by 3 so we actually went minus 8 again. After that it was all about fight and hard work, but also about good things in life like desire and playing together. We got just another confirmation that we are still chasing our best condition, that we are still in the process of becoming a good team. " "As we expected the players did not need any extra motivation to play against CSKA. During the team meeting before the game I asked the players to be patient, to try to avoid long lapses. And I think most of the time we were able to execute the plan. The worst part was in the second quarter when some of our players were too busy to find some points for themselves. CSKA used that to run, they punished us for our mistakes. We had the same problems in the game against Fenerbahce. I would say that CSKA plays predictable; they wait for the opponents to make mistakes and run away immediately." "In general we had a good team victory today. During the game we had some defensive problems which we needed to fix. We stayed together as a team and got a victory, we are happy, whole team didn’t stop to fight throughout the game. I think that the key opportunity to win, was just to find the right way to shoot the ball and make shots. We need to continue to fight, continue to play especially in defense – that’s our keys. Just continue to fight. " "We have a lot of good players on the roster. And we have a goal to win every game. Of course we don’t have such class as CSKA does. But we try to play with character and faith and fight till the end. In the last quarter CSKA’s attitude allowed them to be successful in the very end. We just don’t have enough experience."